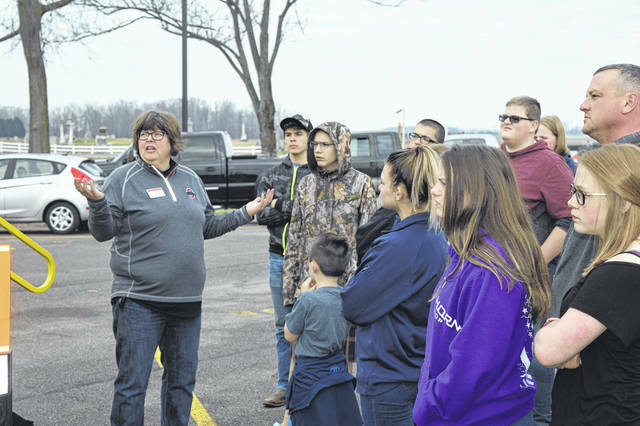 National Trail Miami Valley Career Technical Center FFA hosted a Grain Safety Awareness event on Saturday, April 6. The event was a collaboration with The Ohio State University College of Food, Agricultural, and Environmental Studies and the Ohio Farm Marshal’s Association. 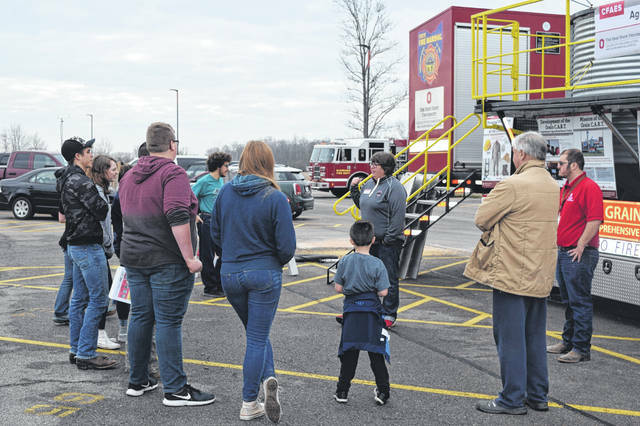 NEW PARIS — National Trail Miami Valley Career Technical Center FFA hosted a Grain Safety Awareness event on Saturday, April 6. 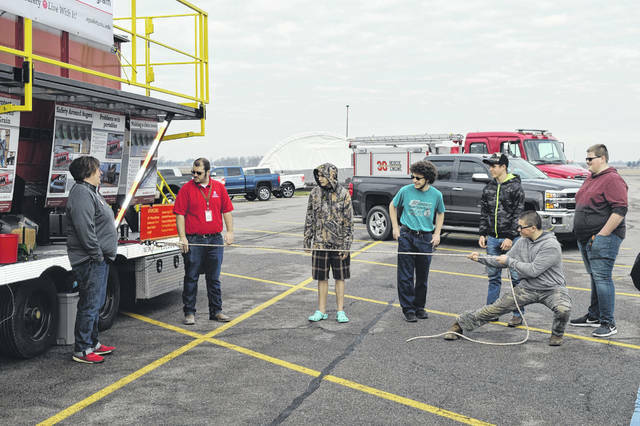 The event was a collaboration with The Ohio State University College of Food, Agricultural, and Environmental Studies which brought its demonstration trailer, and the Ohio Farm Marshal’s Association. 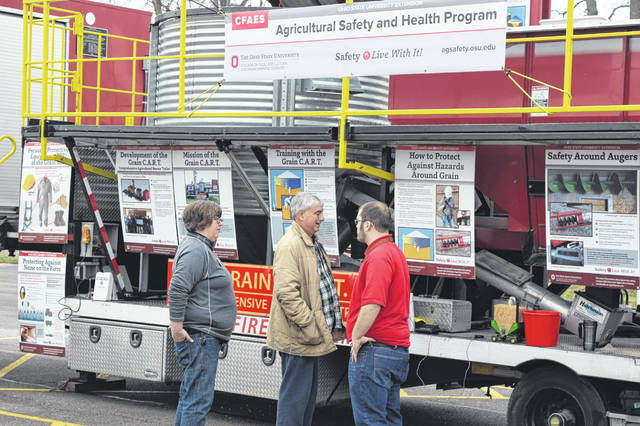 According to Educational Program Manager at OSU Extension Lisa Pfeifer, the trailer was created six years ago out of a capstone project from Ohio State Ag Engineering students. 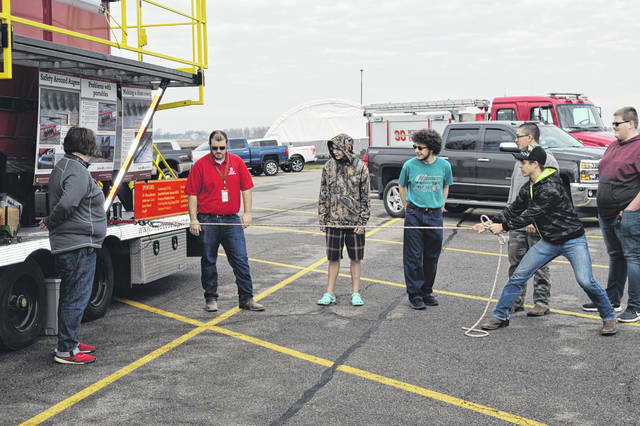 It was created as a training module to travel throughout the State of Ohio to educate fire fighters and the public. For the public, they work on prevention and how they can keep themselves from being engulfed in grain. The Fire Academy shares the trailer with OSU and train first responders on how to rescue someone, should they become engulfed in grain. “There is a lot of grain farming in this area. Before people start into their farming season with planting, and then later in the fall with harvesting, just stepping back and taking a moment to reflect on their safety culture on their own farm, their practices, and being able to go through those procedures off site and think about them a little bit more in depth and recognize all those hazards and how quickly things can happen that cause lifetime injuries,” Pfeifer said. “Training for first responders is offered through the Ohio Fire Academy and they have trainers that come out with the cart. They spend the first three hours of the day in the classroom. They go over a lot of agricultural things, giving them the background if they don’t have an ag background, then getting into trauma care right off the bat. They spend the afternoon actually engulfing firefighters into grain, so they get a sense of what that feels like and go through the rescue procedure. The event was organized by the FFA Safety Committee, according to National Trail FFA Advisor Eric Kennel. This is the second year hosting the event, with the intention of informing the community of the dangers of grain engulfment. “We’ve had grain bin accidents and we also have a lot of farming community. Our students see and understand what is going on and this will help them understand better,” Kennel said. “We have a truck parked next to a planter to simulate the size comparison to the vehicles. A simple thing as driving down the road as a high school student, is it safe for me to pass or not, most likely it is not safe and it is best if you let them go around you. He added, they would like to recognize Brad Simpson with Northwest Fire Department for organizing with the fire department and FFA Advisor Carmen Kennel for organizing the trailer portion of the event. He also thanked Safety Chair Jesse Norton for his involvement. 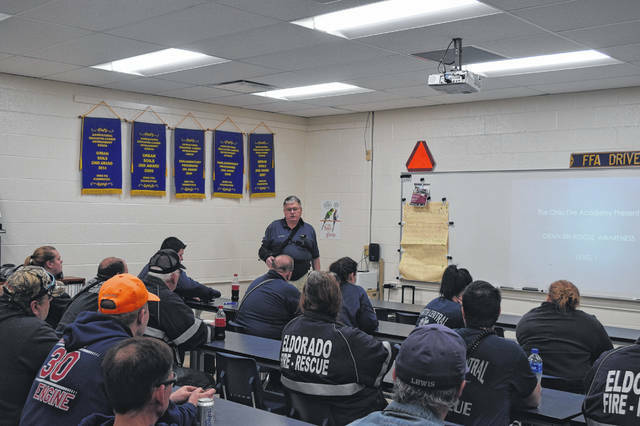 https://www.registerherald.com/wp-content/uploads/sites/41/2019/04/web1_Safety4.jpgNational Trail Miami Valley Career Technical Center FFA hosted a Grain Safety Awareness event on Saturday, April 6. The event was a collaboration with The Ohio State University College of Food, Agricultural, and Environmental Studies and the Ohio Farm Marshal’s Association.